At some point in our lives most of us have the same thoughts: “Man, a Rolex is expensive” and “maybe I should just get a replica.” That’s where this specific watch’s journey began. On a sunny day in Juarez, Mexico back in 1998, a 27-year-old soldier named Chris Vail was shopping in the market with his wife. Chris had already made several excellent purchases: a hand-carved marble chess set, a polyester soccer jersey, and a steak dinner for two, but he had a few pesos left rattling in his pocket. Then something caught his eye. “Ooo! Look at the colors!” he exclaimed. A few pesos were exchanged, and Chris now owned a not-so-convincing fake two-toned Rolex 16613. A watch that was made in China, and sold in Mexico, was about to take its first steps onto United States soil. Fast-forward 16 years, and we find Mr. Vail in a very different place. 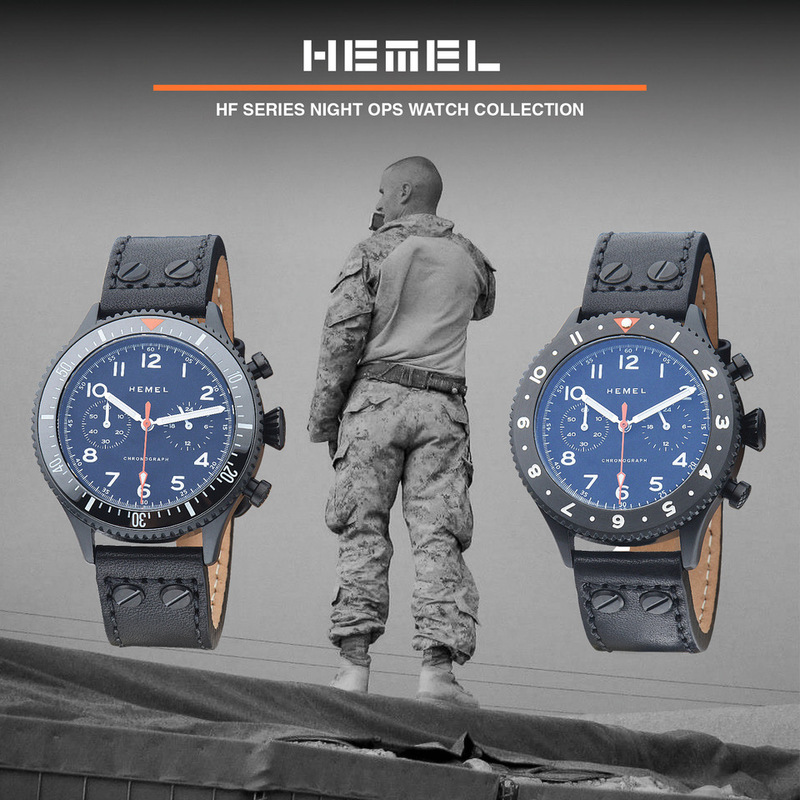 He is now watch enthusiast “Doc Vail,” a forum regular, and the founder of the Lew & Huey Watch Company. 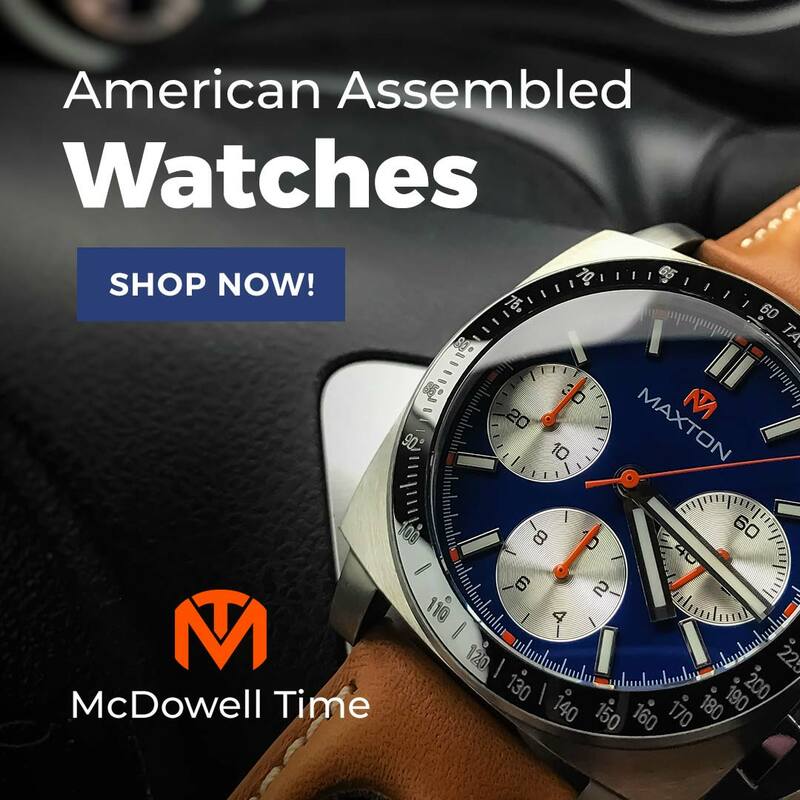 Two very popular mechanical watches have been released, two more are in production, and another two are in development. Coincidentally, that embarrassing two-tone replica was still hanging around Chris’s watch box. It holds some sentimental value, and he didn’t want to discard it, but what is a man to do? How does one dispose of a Mexican Rolex (“Molex”)? By making it a prize, of course. 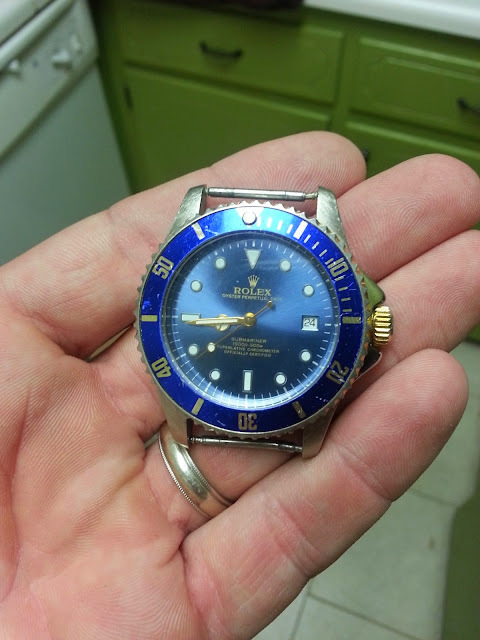 Chris held a contest on Watchuseek’s Affordable Forum. This is where I take over the story, as I was the lucky winner. I’m John Zanatta, aka jelliottz, aka JZ, and I’m a regular on the forum. I’m also one of those guys who will take a perfectly good watch, take it apart, swap parts in and out, throw some bits in the oven, attack others with metal files and sand paper, dunk still more parts in coffee, and the put them all back together in what usually turns out to be a pretty cool “vintagized” piece. Chris wanted the Molex to get a new lease on life, and he tapped me for the job. I decided it would look good with snowflake hands and matching dial. I ordered the dial and hands from Ken at www.rafflestime.com. He has great prices, an excellent selection, fast shipping, and amazing customer service. 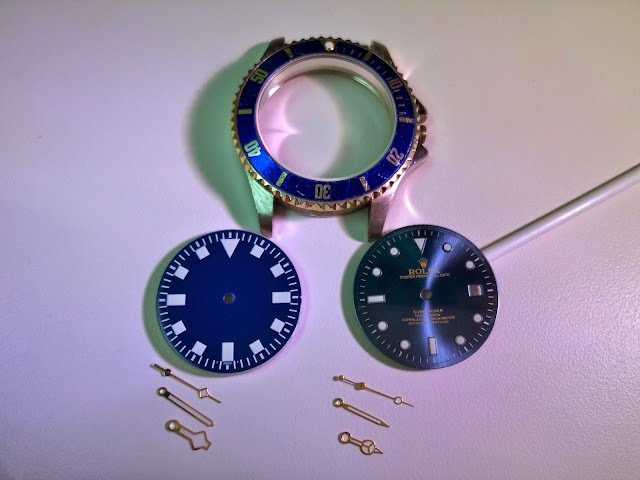 These dial and hands are listed under parts for a DG2813. The DG is a clone of the Miyota 8215 which is the same movement in the Molex. 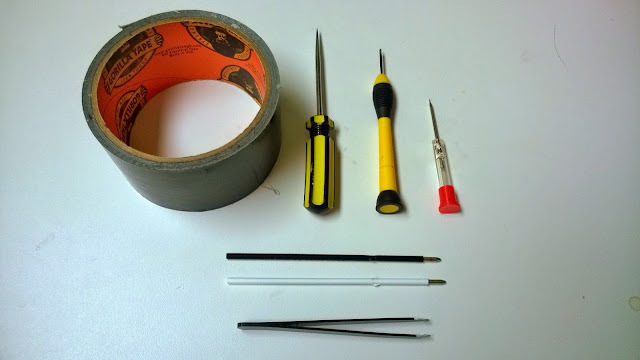 Here are the steps that I took to go from Molex to Moflake in some kitchen table modding. Before we start, here are the tools that I use. I use the term “tools” loosely. There are specific tools for watch modding, and I don’t own any of them. Instead, I performed watch surgery using only: Gorilla tape, several screw drivers, an awl, two ball point pen ink cartridges, and tweezers. Step 1: Tear off a piece of Gorilla tape approximately 6” in length. Roll it up with the sticky side out. This is your case back opening tool. Stick the tape to your case back. Allow it 5-10 seconds to bond with the metal. Now slowly apply pressure and twist counter clockwise. Step 2: Find the stem release button. It is located in different places for different movements. 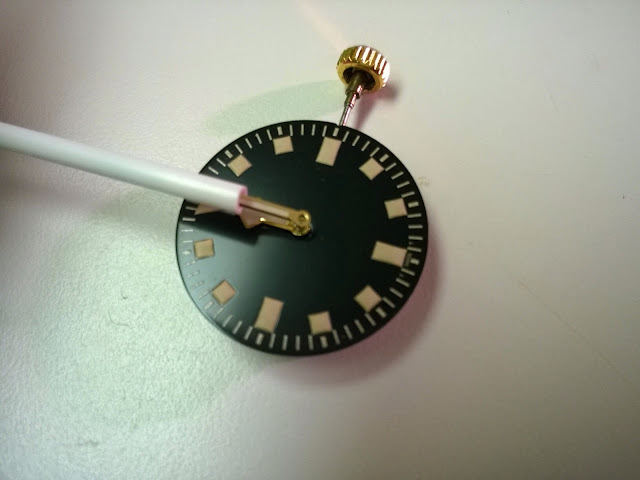 The movement in the Molex is is a clone of the proven workhorse Miyota 8215 automatic movement. The release is located just left of the stem. Pull the stem into the time setting position and set the time to 12:00 pm (I will explain this in a minute). Now gently press the release button with your awl (or paper clip, thumb tack, etc,) while pulling the crown out. Don’t press to hard on the release button or pull to hard on the crown. It should be a gentle process. Step 3: Remove the movement, reinsert the stem, and set the time to 12:00 pm. Do not set it to 12:00 am. You don’t want to remove or set hands when a watch is attempting a date change. 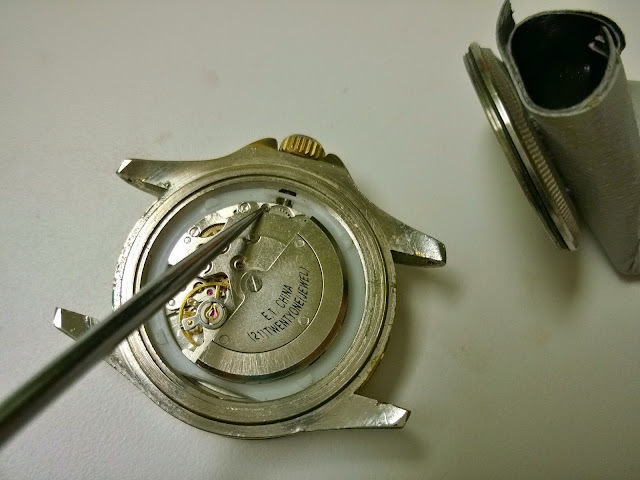 Step 5: Loosen the screws (with approximately a ½ to ¾ turn) which hold the dial feet in place. Lift the dial off the movement. Remove the dial spacer held in place by the dial feet. You can slide it off using tweezers. This will be used on the new dial. If you forget this step, your stem will be out of alignment. Now you have taken your watch apart, and we will begin aging the dial and hands to give it a more vintage feel. The watch from Chris already had quite a lot of character: scratches and fading on the bezel, dings in the case, and some brass showing through near the crown guards. The case looks worn and well loved, but the dial and hands are brand new. We need to catch them up with the natural aging of the case. Step 6: Cover a baking sheet with foil. Place your dial on the baking sheet. Set your oven to 450 degrees Fahrenheit . When the oven is heated, place to backing sheet with dial inside. This is where it gets tricky. There is a fine line between vintage dial and burnt cookies. Step 7: Check the dial every 60 seconds. Dials can take anywhere from 3 minutes to 30 minutes to turn color depending on the temperature and materials used to make it. It’s not an exact science. I’m going for light vintage. As soon as the dial begins to turn, I’m going to remove it. The dial will continue to change once removed until it starts to cool down. Do not touch it yet. This is a piece of metal that was in a 450 degree oven. Needless to say, it is HOT. Step 8: Now repeat the same process with the hands. In my experience, hands don’t turn as quickly as a dial. This is why I do them separately. Optional – add coffee to the baking process. You cover the dial and hands in coffee and put them back in the oven. Let the heat evaporate off the coffee. You will be left with dark spots and texture. You can also dry them under a lamp if you don’t want to put the dial back in the over. I would recommend using the lamp if your dial is border line over-baked. My dial was in for 8 minutes (checked every 60 seconds), and my hands were in for 15.5 minutes (checked every 60 seconds). 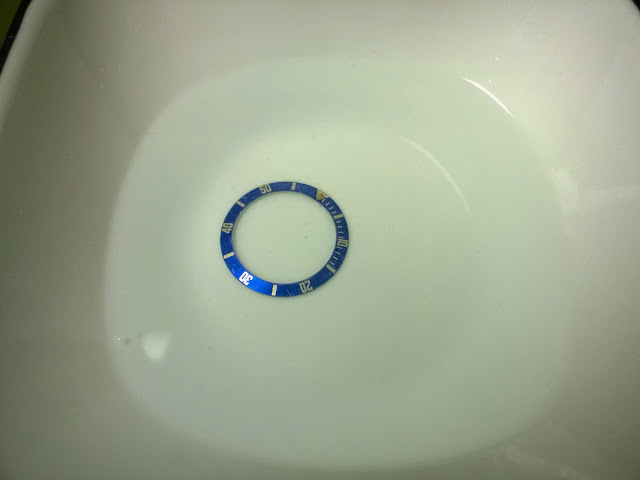 Step 9: Bleaching the bezel insert is easy. You drop it into concentrated bleach and wait. That's it. Keep an eye on it just like the dial. You can always bleach more, but you can't put color back. We’re almost to the finish line. Now it’s time to put everything back together. 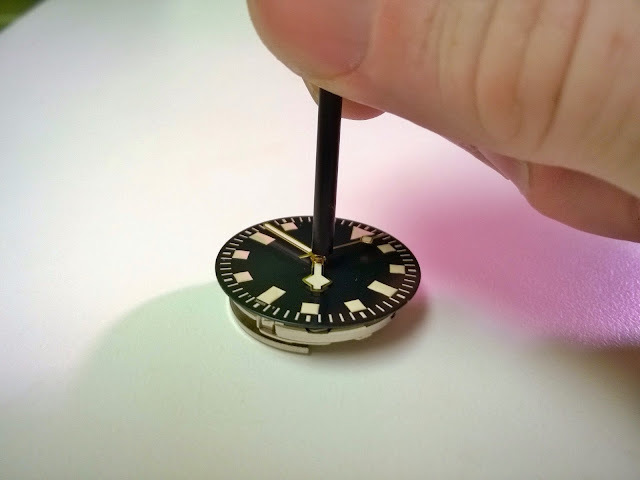 Step 10: Put the dial spacer on the freshly baked dial. 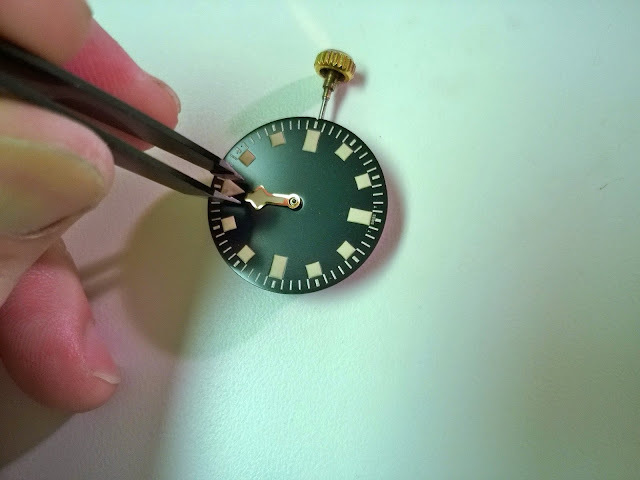 There are small cutouts that should match up to the dial feet. Place the dial feet into their respective spots, and tighten the screws back the ½ to ¾ turn you loosened them. Step 11: Remember when we set the crown to 12:00 pm? That’s how we’re going to install the hour and minute hands. This way you have a date change (if using a date window dial) at midnight. No one likes an early or late change. 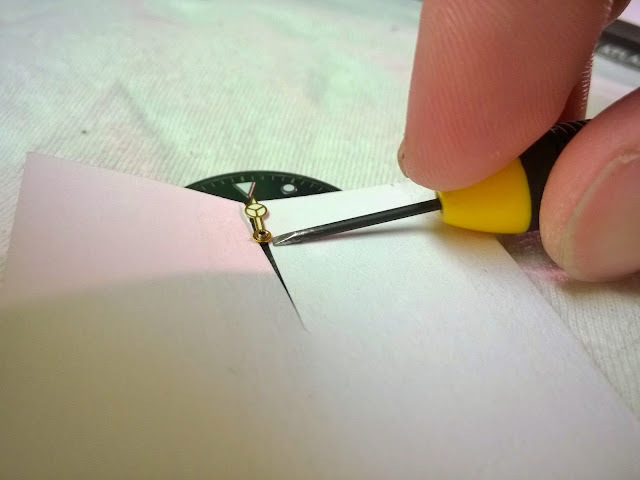 Use the tweezers to place the hour hand at 12:00. Use the open end of the ink cartridge (or hand pushers) to set the hand into its spot. A little pressure pressing down should seat it perfectly. Take a look at it from the side to verify it is sitting level. 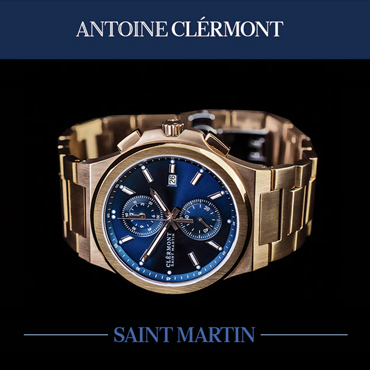 You don’t want it at an angle as it could interfere with the minute hand or drag on the dial. Now use your second ink cartridge to hold the minute hand. Place the pointed tip into the open tube. Now you may align the hand opening in its respective spot. 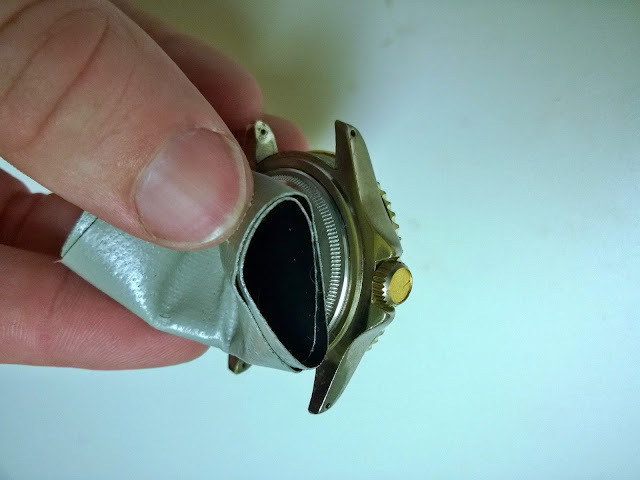 Use the same gentle pressure with the other ink cartridge (or hand setter) to press down and seat the minute hand. Check its profile view to again verify that it is level. Your crown should still be in the time setting position. Slowly rotate the hands around the dial for two full rotations. You will be checking for two things: 1) the hour and minute hand do not bump into each other, and 2) the date changes at 12:00 (if you have a date window). Step 12: Now it’s time for the second hand. Move your hour and minute hands to the bottom half of the dial. You don’t want them in the way while trying to do this. This one can be tricky. Some people like to use a loupe for better vision when doing these. The pinion you’re attempting to mount it upon is very fine. Take your time. Don’t force it. If you find yourself stuck, take a break and revisit it. You don’t want to snap it off. Now begin the same way you did the minute hand. Place the seconds hand tip into the open end of the ink cartridge. Use this to hold the hand and align it over the seconds pinion. As you set it down, you will feel the tube in the second hand make contact with the pinion and catch. This means you’re on target. Keep it level, and use the other ink cartridge to press down on the hand. It should settle slightly into position as you push down. If you think you have it set, push your crown in to start the movement. You should now see your second hand spring to life. If it doesn’t, try again. Once my second hand is in place, I do another two rotations of all the hands to make sure they don’t bump at any point on the dial. If there’s no overlap, stop at 12:00 pm (avoid the date change) and remove the stem. 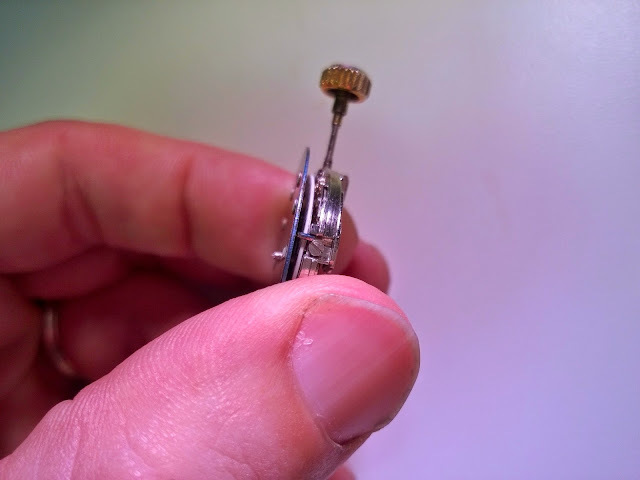 Step 13: Now place the movement back into the watch case, and reinsert the stem. Close up the case back. You can use the Gorilla Tape ball to tighten just like you did to open. Set the time on your watch, and screw down the crown. 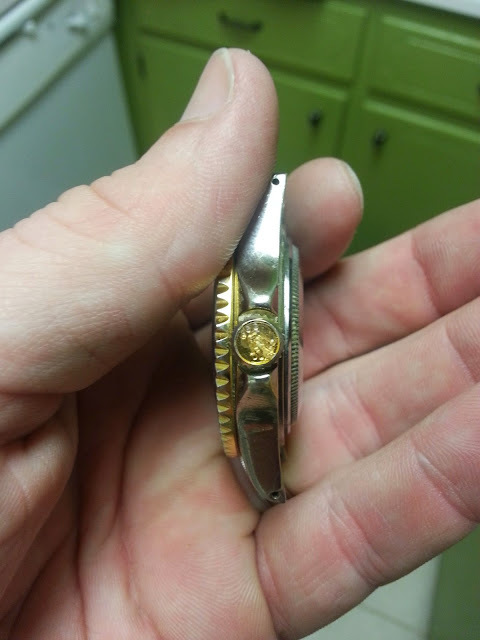 Step 14: Lastly I removed the faux Rolex insert on top of the crown. It was a little piece of plastic with an engraved coronet. I used the awl to quickly pop it out. 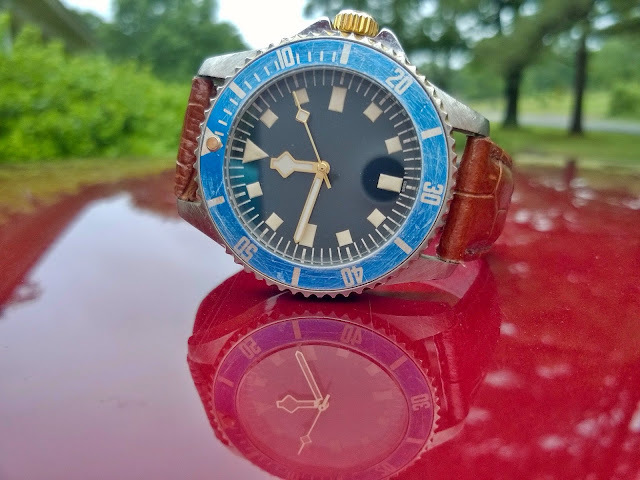 Congratulations on modding your first watch, and welcome to the club! John Zanatta is fellow watch nerd and tinkerer who is active on the Watchuseek Affordables Forum. 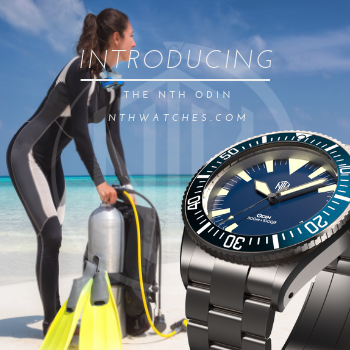 His is a father of three boys who want to make their own dive watch. He has a wonderful wife who supports his habit hobby. Originally a native of Kansas City, John now lives in Little Rock, Arkansas. When not dismantling watches of dubious origin, he enjoys working in his garden, hiking, and generally doing outdoorsy-type things that The Time Bum does not understand.